This MMORPG game that celebrates its 16th birthday this year is often considered a WoW alternative. Though releasing earlier, it could never beat the outstanding popularity of its Blizzard rival. 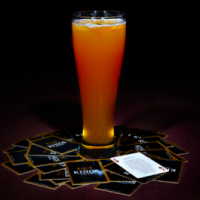 Nevertheless, it has its own unique flair and it is a great fun to play it. As a game based on PvE and PvP fights and quests it offers a wide variety of tools to shed rivers of blood. A huge choice of melee weapons RuneScape offers is a particular highlight, allowing each player to combine their gear and come up with unique setups based on the character level and bosses player killed. 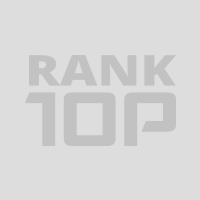 This RankTopTen list presents RuneScape melee weapons of high quality and rarity. While you can easily obtain any kind of weapon you can get, your armory will still look generic and not that exciting unless you go for a big hunt and defeat some big guys in the game. RuneScape best weapons can only be obtained after searching the loot that drops from high-level bosses. For example, some of the picks on this list can be received only after killing the boss called Kalphite King. He was the toughest opponent in the game for some time until Vorago and Yakamaru were introduced. 10,000 combat level is a real deal, man. Kalphite King’s loot has some top-notch Drygore weapons. And this is just a part of what we have got in the locker. 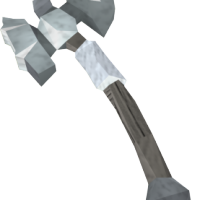 Go ahead and vote for your best weapon in RuneScape. Don’t get lazy and describe why do you love it so much or want to get it so desperately. The community will appreciate it, promise. One of the six RuneScape melee weapons that Kalphite King drops, Drygore longsword is a slashing style weapon with strength and accuracy equal to the rapier of the same set. Stylish look with spikes around the blade make the longsword one of the go-to picks for players that try to look stylish and yet hit the opponents hard. Not any player can use this killing instrument, as it would require 90 Attack to be able to swing it at the enemies’ faces. Out of Daemonheim, this longsword is the most powerful in the game. You can freely use it for at least 5 hours of combat, as it has 60 thousand charges, though consuming 2 per one hit. When it eventually does decline and you decide to repair it, it will cost you 10,000 chitin scraps, or about 1 million coins if you buy scraps on the Grand Exchange. Drygore longsword will not stack in your inventory, but is fully stackable in bank. You can disassemble the weapon if you so desire and such action will reward you with 27 xp and some components and parts, depending on the holy random. If you don’t want to risk your character’s health in a fight with Kalphite King, you can get the sword on the market, but that would cost you nearly 20 million coins. You can try your analytical skills, wait for the price drop and get the weapon 2-3 millions cheaper than usual. 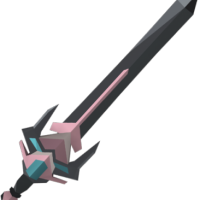 What do you think about Drygore longsword? Is it worth the price and effort to get? Which is your favorite setup using this weapon? Let everybody know in the comments! Probably best melee weapon when it comes to the style of wielding it, Abyssal whip is a tier 70 main-hand item. It was introduced at the same time as Slayer skill in 2005. The skill progression proved to be slow and costly and you needed a level 85 to deal any damage to the abyssal demons. This lead to a relatively high price of the weapon which was around a couple of millions of coins due to the aforementioned circumstances and rarity of the weapon. The price has dropped after some time and now you can get the whip on the exchange only for 70,000 coins. Mark Ogilvie describes the weapon as the spine of any abyssal demon you slay. Your character will need at least 70 Attack to use the item and its benefits of 672 Damage, 1486 Accuracy, and a special attack. The Energy Drain would make the whip hit with 100% of damage and take away all of the run energy of the enemy. Using it would cost you 50% of Adrenaline. The Abyssal whip is customizable with the help of four paints, which add yellow, green, blue or white touch to it. Though being a main-hand weapon, it will be always on the right side of the character when sheathed. The whip also does not have a proper off-hand counterpart due to animation issues with a player using 2 whips at the same time. Enhanced Excalibur though is used as an off-hand addition to the Abyssal whip. There is also an option to create Abyssal vine whip with the whip vine, dropped by mutated jadinko males and guards and would grant a whole new special attack to the weapon. If you are looking to get yourself the best melee weapon, this one definitely deserves attention. There are four godswords in the game that come from the God Wars and Armadyl is one of them. It is only possible to create the sword from the godsword blade and Armadyl hilt, combined together. There is no restrictions or requirements and all players can create the sword, providing they have the needed elements. To wield this weapon, however, one must have at least 75 Attack. The godsword is double-handed and takes up 2 weapon slots to use it. This means you will not be able to combine it with a shield or an off-hand weapon. No wonder, because the weight of this massive piece of metal is 10 kg. Once you equip this item,you will feel the power, as it has 1676 Damage and 1694 Damage. Purchasing the Armadyl godsword on a Grand Exchange would cost you around 3.5 million coins, which is not a big price for a godlike weapon. 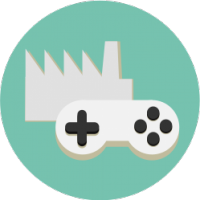 The item has a special and a passive effect, while the latter is much less popular among the players due to it lacking sufficient power. 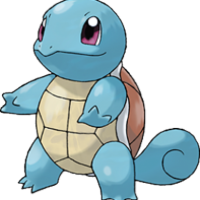 A Special attack, however, deals damage within the range from 25% to 375%. This might be the only thing between survival and death and that’s why the players love this attack so much more than the passive effect. Have you got the Armadyl godsword? If yes, feel free to use comment box to describe what it is like to wield such a massive double-hand blade and why should others try to get the sword! Or tell everyone why this particular item is a very bad pick. It’s all up to you. A masterpiece among the Drygore set, this rapier is one of the best melee weapons RuneScape has to offer and the strongest of its kind that can be found out of Daemonheim. Its stunning look is matched by the stats, 1102 and 2458 for Damage and Accuracy respectively. 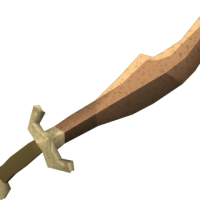 To wield this beauty, your character has to have no less than 90 Attack and guts to overcome Kalphite King, who drops the weapon. If you want to go the easy way, Grand Exchange offers a price of 14,000,000 for the Drygore Rapier. Right after the launch of this murder tool, it could cost up to a half of a billion, but as more players manage to defeat Kalphite King every day, the price slowly declines over time. 30,000 charges mean 5 hours of combat and more. Just like any Drygore weapon, you can repair it with 10,000 chitin scraps which would cost you 1,000,000 coins if you happen to buy them on Grand Exchange. Direct repair has a base price of 3 million coins and can be reduced through increasing Smithing level and doing the repair in player’s own house. If you decide to disassemble this piece of magic, you would probably be happy as there would be no junk whatsoever and plus 27 XP will be dispatched to your character. You will most likely get base, metallic and blade parts. If you’re lucky, some dextrous and precise components may drop as well, but the percent of that happening is 2 and 3 respectively. 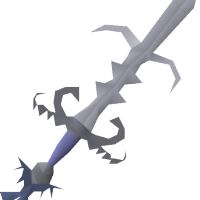 Use the comment section to tell us what does it feel to wield such a weapon and how hard was it to kill the Kalphite King or how much time you spent accumulating such a vast sum of money! We’re sure that community will be grateful. 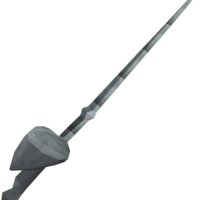 Another Dungeoneering reward of Chaotic weaponry, the rapier is often considered one of the RuneScape best weapons. It requires you to have at least level 80 of Dungeoneering and the same goes for the Attack rating. You would need 200,000 tokens, which should not be a big problem once you complete the Sagas and redo them a couple of times. This tier 80 main-hand weapon possesses 1924 Accuracy and 980 Damage, which is a reason enough to play around with the Sagas to purchase it as a reward. You can freely use it for at least 5 hours of combat with its 30,000 charges and once it breaks, you should visit Daemonheim rewards trader. Maximum repair cost would be 2,000,000 coins if you happen to use your rapier until it gets to 0% of charge. Rapier represents the stabbing weapon style of the chaotic line. Other chaotic items would be slashing longsword and crushing mace. Therefore one must choose the fighting style to employ and can either purchase an off-hand rapier to perform as a dual-wielder or use a shield with only one rapier. This item might prove useful against Kalphite King, as he is weak to the stabbing, while the slashing does standard damage to that guy. This makes Chaotic rapier a perfect weapon choice when going for that big boss and looking for a better weapon, such as the drygore line. What do you think about this main-hand beauty? Will it be your first choice when you reach the required Dungeoneering or you’d fancy something else with a different combat style? Let us know in the comment section dedicated specifically to this item! Featuring on many players’ RuneScape best weapons list, Chaotic maul is a crushing item, attainable by purchasing for Dungeoneering tokens. Released on April 12th, 2010, it used to cost 400,000 tokens right until the update of April 21st, which cut the price by half, making it easier to get for a larger mass of players. 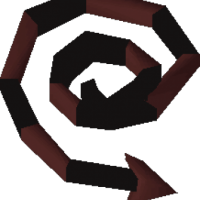 Due to its look and stats, Chaotic maul appears to be the right choice who want to wreak havoc in the RuneScape world. Talking about stats, the maul possesses a sweet rating of 1788 in damage and 1924 in accuracy. It would require the player to have at least 80 points in Attack to be able to wield the maul, and the same amount of Dungeoneering points to purchase it as a reward. You have probably noticed that it differs from other Daemonheim mauls and requires Attack, not Strength to use the thing. This weapon is non-alchemisable and if you happen to die using it, the maul will convert to 100,000 coins and that hefty purse will be dropped. It is reclaimable on death with a value of 20,000,001 and can be reclaimed for 170,500 coins. 30,000 charges guarantee at least 5 hours of bone-crushing experience for your enemies and it does not have any damage reduction neither in PvM or PvP. 24 experience will be dispatched to you along with heavy and strong components, if you're lucky and 2.3% chance of junk. Note, that Chaotic maul will stack in the bank only if all of the weapons have the same charge. Use the comment box below to explain the community why do you love or hate this weapon. Express you opinion on all of the advantages, disadvantages and ways to get it relatively easy! Sure, people will thank you for that. Bronze scimitar is one of weakest melee weapon RuneScape has to offer and officially the weakest scimitar in the whole game. Every other non-quest melee item is also stronger than this one, except for bronze dagger and mace of the same metal. The main advantage of this murder tool is that it can be wielded no matter of the players’ Attack level. It is also one of the starter picks for smiths, as they can forge the scimitar at level 5 with only 2 bronze bars with a total cost of 360 coins. Being the weapon for the beginners, it does not have much to offer in the way of stats, offering 48 Damage and 150 Accuracy. No comparison to the legendary items, right? Despite a status of a weakling, the scimitar is a veteran of the game, sometimes being older than the players of the younger generation that have discovered RuneScape. January 4th, 2001 is a reasonable date for a debut in the game, making you respect the thing just for hanging around for that long. 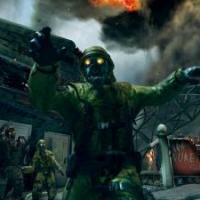 The weapon can be obtained from a number of drop sources, including orcs, pirates, dried zombies, goblins etc. You can take the shorter route and get it at Grand Exchange for a price of just 334 coins. In-game markets, however, offer the bronze scimitar 10 times cheaper, charging 32 coins. If you decide to disassemble it, you will most likely get just junk, because of the 98.9% junk chance. Maybe if you keep trying, the god of random will eventually present you some sharp or subtle components with 3% and 2% chance respectively. Talking about stats, the maul possesses a sweet rating of 1788 in damage and 1924 in accuracy. It would require the player to have at least 80 points in Attack to be able to wield the maul, and the same amount of Dungeoneering points to purchase it as a reward. You have probably noticed that it differs from other Daemonheim mauls and requires Attack, not Strength to use it. This weapon is non-alchemisable and if you happen to die using it, the maul will convert to 100,000 coins and that hefty purse will be dropped. It is reclaimable on death with a value of 20,000,001 and can be reclaimed for 170,500 coins. 30,000 charges guarantee at least 5 hours of bone-crushing experience for your enemies and it does not have any damage reduction neither in PvM or PvP. 24 experience will be dispatched to you along with heavy and strong components, if you’re lucky and a 2.3% chance of junk. Please note that Chaotic maul will stack in the bank only if all of the weapons have the same charge. Use the comment box below to explain the community why do you love or hate this weapon. Express you opinion on all of the advantages, disadvantages and ways to get it relatively easy! We’re sure that people will thank you for doing this. 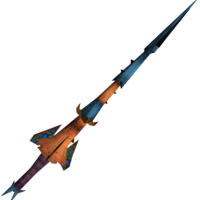 Once called the best weapon in RuneScape by many players for its special attack, which was 4 consecutive strikes for 50% cost of the bar, Dragon claw’s popularity and market price was severely reduced by the Evolution of Combat, which brought all weapons to equal terms, removing all special attacks. Today, the special attack is back, receiving a slightly changed mechanic of damage dealing. 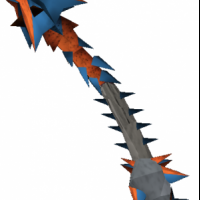 This dragon metal weapon requires 60 Attack and you can get it by slaying tormented demons and trading it, either from a player or using Grand Exchange. Only playing or completing While Guthix Sleeps allows you to kill the demons, though you are still able to wield both main and offhand variations of the weapon without even starting the quest. If you decide to purchase it on the Exchange, it will cost you only around 150,000 coins, while at the peak of the special attack popularity back in the day, the price could reach 40,000,000. If you have managed to raise your Dungeoneering level to 80, you can upgrade the claw with chaotic spikes, turning it into a chaotic type of weapon with specific characteristics, requirements and degrading. Except the aforementioned tormented demons, Motherlode Maw can also drop a claw. Disassembly will present 18 XP to you and a staggering 34% chance of junk, if you decide to take the risk and try to get sharp and swift rare components. 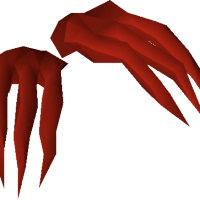 Tell us about your RuneScape experience when using the claw. How was it back in the day and what benefits are there of using in today, after many combat re-balancing and updates? Share your deep experience or the first look on the weapon once you get it in the game! 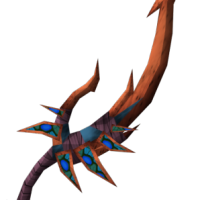 This representative of Drygore weaponry is by far the best weapon in RuneScape when it comes to maces. It drops very rarely and you have to really work hard to get it out of Kalphite King, as he is the only one that has it in the locker. You can spend a hefty fee of 14 million coins to get it from the Grand Exchange as well. If you are fighting Kalphite King with your friends using CoinShare, then the mace will appear in the form of 120 Drygore mace shards, split equally between all of the players. The same amount is required to create the weapon from scratch. As you have probably guessed, this one is of crushing style. Damage of 864 and Accuracy rating of 2458 make it a sound addition to your murder pack of weapons. You can freely use the mace for at least 5 hours of combat, due to it containing 60,000 charges and consuming 2 per one hit. 90 is the tier of Drygore mace and it surely fits into the category of elite weapons which are either super expensive or hard to obtain through slaying monsters. The chance of it dropping is also rare but you probably wouldn’t mind if a rapier or longsword of the Drygore series be handed to you instead of the mace. You can get an off-hand version of the weapon and wield two of them at one time, increasing your DPS rating. It is worth noting that only Dragon Rider amulet and body have higher rating of prayer than Drygore mace. And, if you use fury with this weapon, you will notice that the game uses a non-crushing sound for this ability, despite the style of the mace.